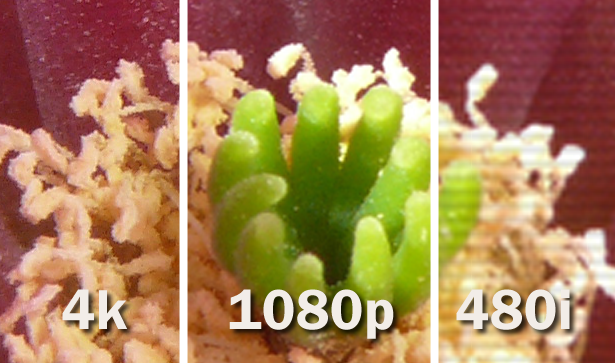 There’s been a lot of talk about 4K resolution lately and you may be wondering if it’s right for you. Let’s take a look at 4K and what it means to you today. There’s only one problem: None of it matters. Why does none of it matter? First of all, let’s look at those two graphics. The first one really shows the problem. 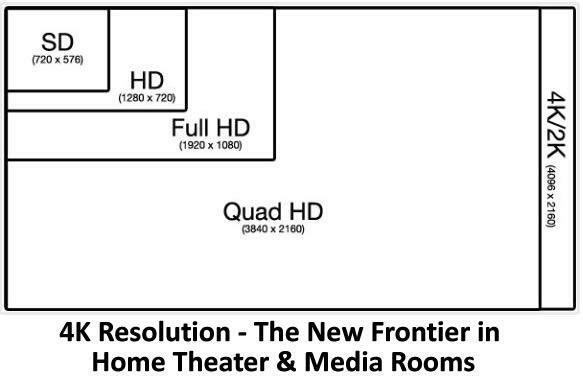 In order for you to really see any real difference between HD and 4k, you’d need a much larger screen. Today’s HD screens are already pretty big… 60-70″ isn’t all that uncommon. If you wanted to see the difference, you’d need a 100″ screen or larger. Otherwise the extra detail would be lost. Your eyes just aren’t that good, even if you’re young and have perfect vision. Second of all… that comparison with the flower is meaningless. I did it myself and it’s only 600 pixels wide. It’s the equivalent of sitting about 5 inches from the TV screen, maybe less depending on the size. It’s just to show the relative differences in detail. It doesn’t show what you would actually see in your living room. Wait… you say 4k is a load of hokum? (1) Do you see a real difference is quality between ABC and CBS? (2) Do you see a real difference between Netflix HD and Blu-ray HD? (3) Do you ever read the fine print on car commercials? Have you ever tried? If the answer to any of those questions is “no” then truth be told, HD quality is just fine for you. 4k isn’t going to bring you anymore. Why? (1) ABC is 720p and CBS is 1080i. Technically CBS gives you a superior picture. But, if they look the same for you then why would you worry about 2160 pixels when you can’t tell the difference between 720 and 1080? (2) While broadband-delivered HD is sometimes 1080i resolution, the reduced bandwidth means that an image from Netflix can have 1/5 or less of the picture information. 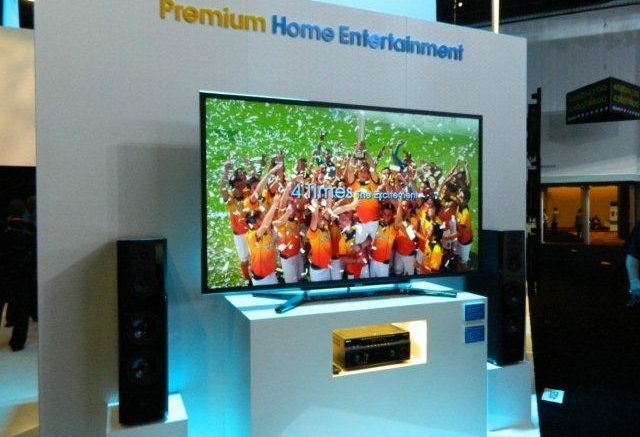 If you’re happy with broadband-delivered HD, you won’t see a big difference going up to 4k. (3) If the fine print on car commercials is too small to read, that’s a good indication that your TV is too small to see the difference between HD and 4k. But you know… that’s ok.
Don’t be ashamed that 4k isn’t a great fit for you yet. There will come a time when everyone has TV screens the size of walls… it’s coming fast. For now though, there is no video source that can output 4k (except for a commercial theater projector.) There is no reasonably priced TV that can produce a picture that large. You can use a projector but there are real sacrifices there too. HD is ok for now, and 4k may be the future but don’t worry about it quite yet.